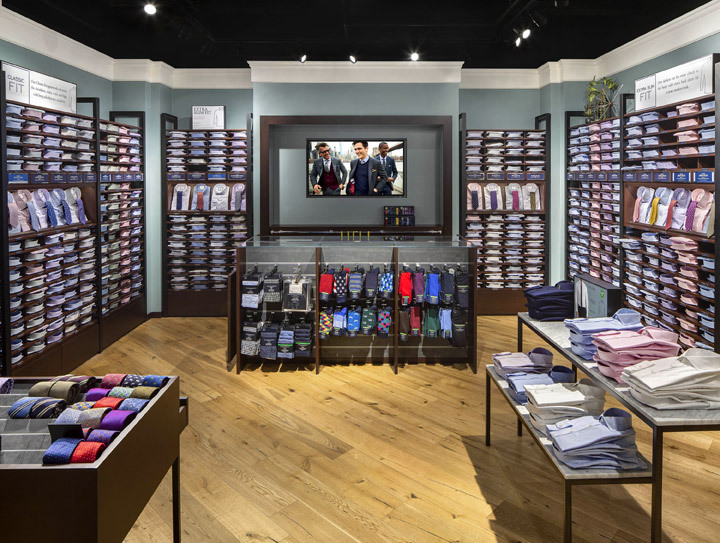 Charles Tyrwhitt Shirts Ltd is an English company engaged in the production and sales of men's outfits. 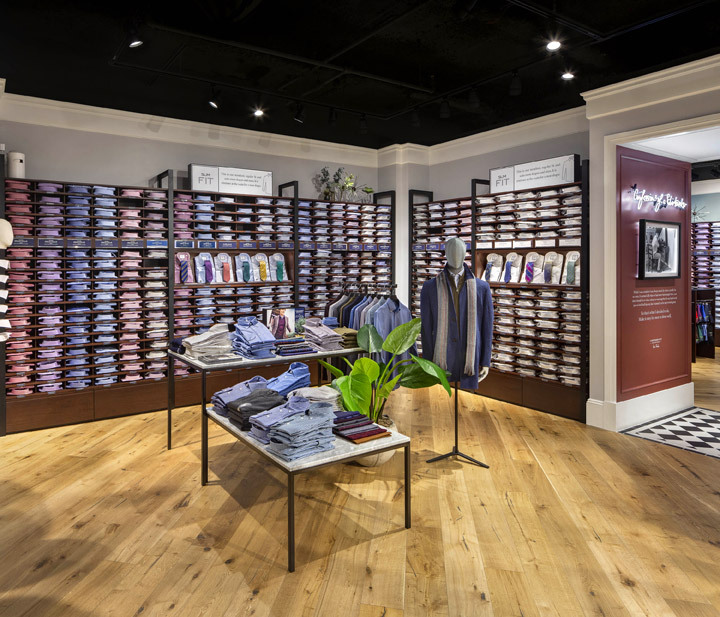 Founded in 1986, today Charles Tyrwhitt is present with its own brand stores in different English locations and in the cities of New York, Washington DC, Chicago and Paris, offering a timeless style without compromising on quality. 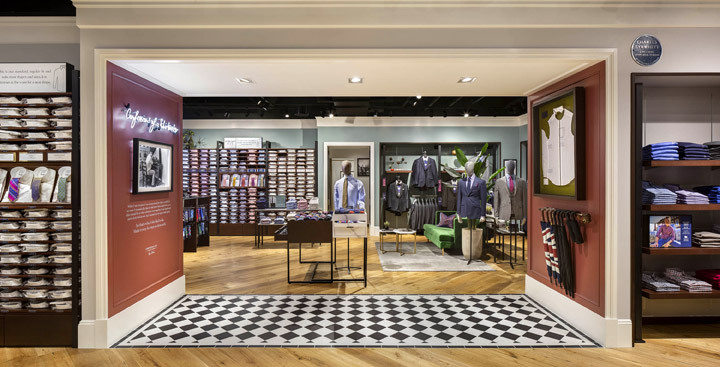 Grottini Retail Environments supports the Charles Tyrwhitt brand for the realization of furnishings and accessories. 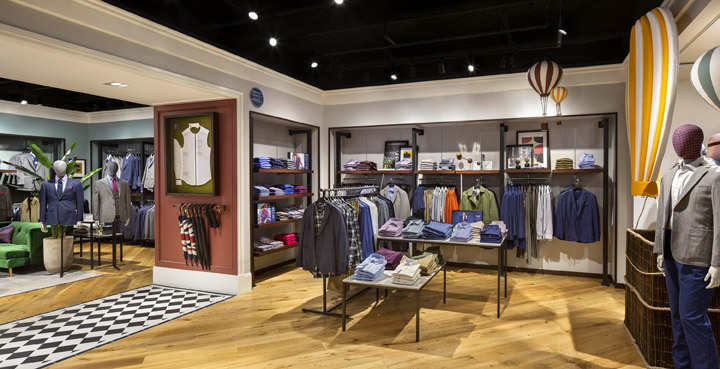 After the store on Long Island, a new 150 square meter store at Roosevelt Field Mall followed. The furnishings are made of wood fiber panels with mahogany finishes. 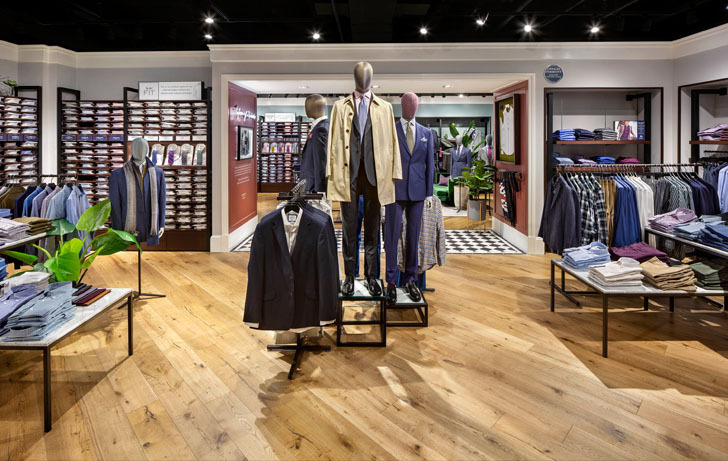 The painted metal structures organize the collections dividing the areas by sector, enhancing the chromatic shades of the garments and accentuating the warm nuances of the wood and the noble materials present in the fittings. The elegance of the white marble and the details covered in alcantara, an extremely resistant but also soft material, reinforce the brand's mood. 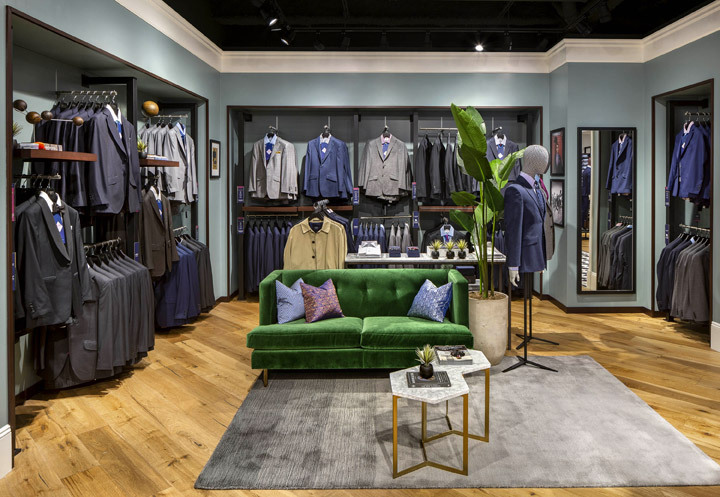 All the furnishings, from the stylistic details, to the chromatic choices, to the functional aspects, give back a refined and contemporary space.